United Launch Alliance launched a National Reconnaissance Office payload on Saturday aboard the Delta IV Heavy rocket in support of the agency's national defense mission. ULA said Saturday the launch vehicle carrying the NROL-71 mission took off at 11:10 a.m. Pacific time from Vandenberg Air Force Base in California. Delta IV Heavy is composed of three hydrogen-fueled booster cores powered by Aerojet Rocketdyne-built RS-68A engines that work to collectively generate 2.1M pounds of thrust. The AR RL10B-2 engine technology powers the rocket's second stage. NROL-71 represented ULA's first launch activity for this year and its 132nd deployment since 2006. 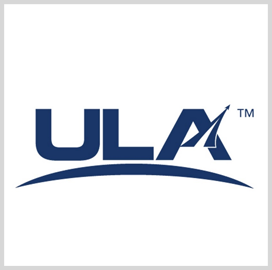 ULA and the U.S. Air Force aim to deploy the 10th Wideband Global SATCOM satellite on March 13 in Cape Canaveral, Fla.